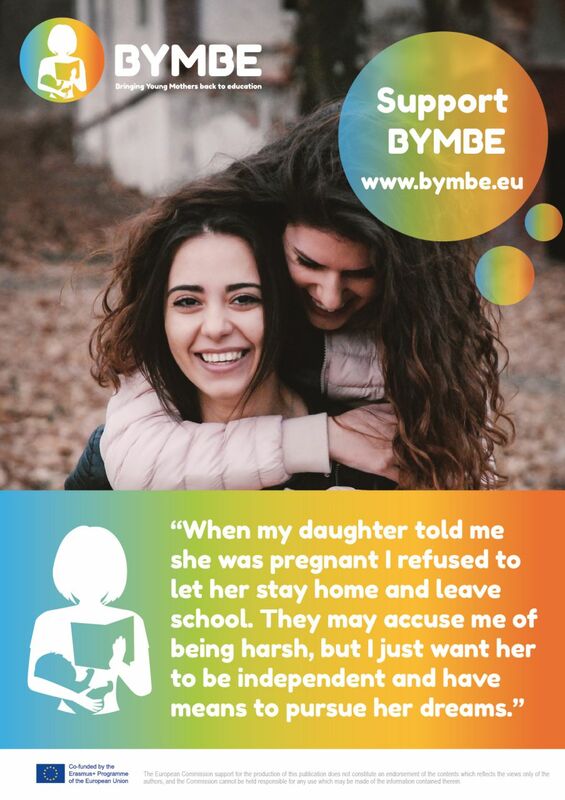 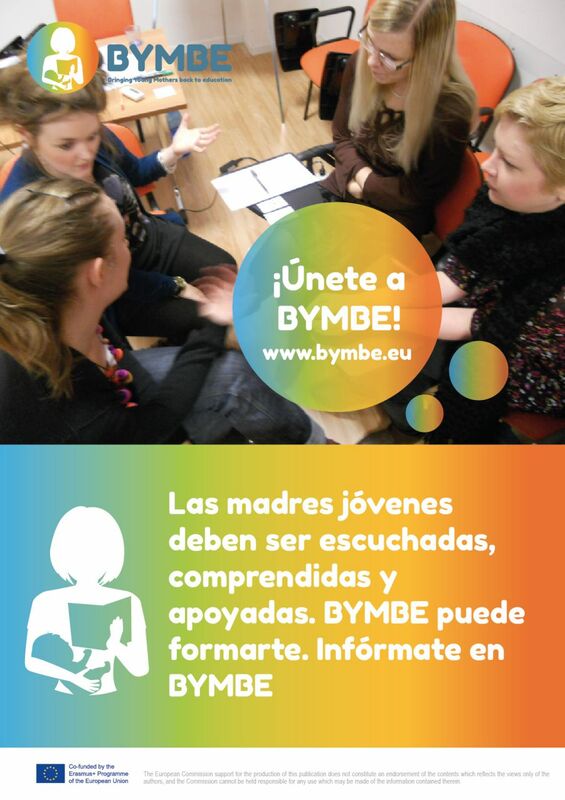 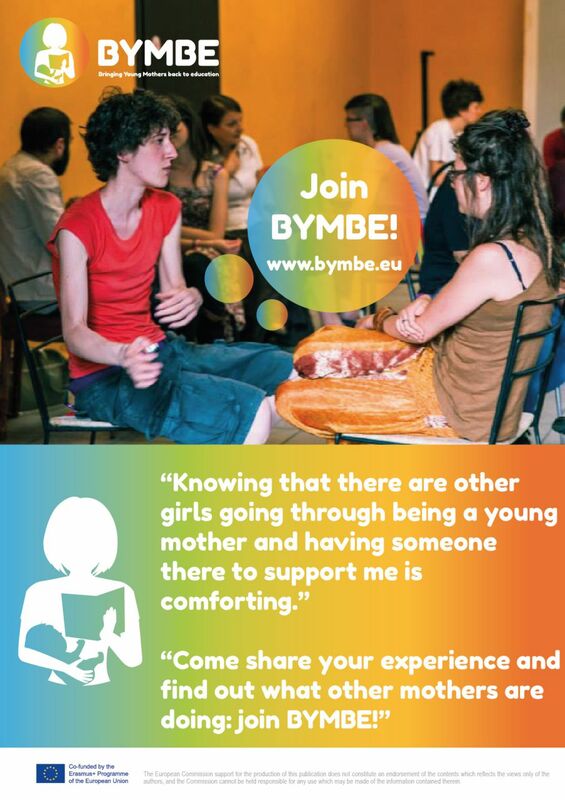 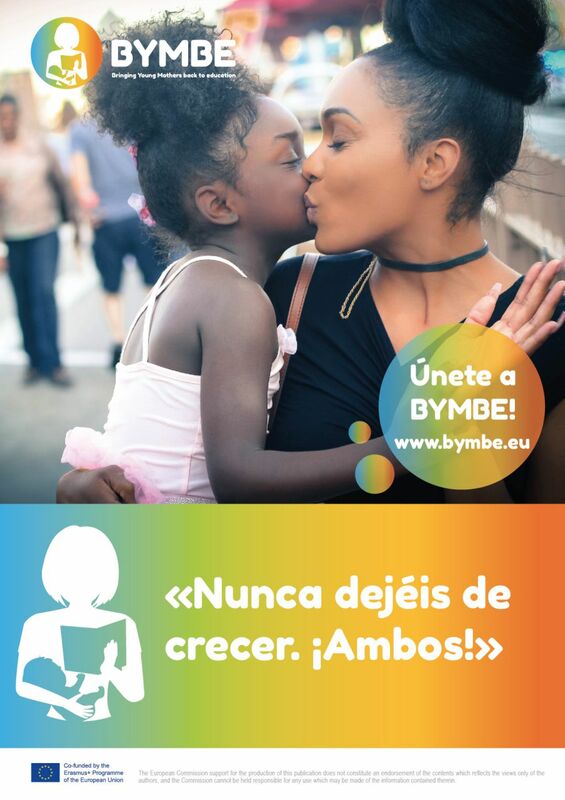 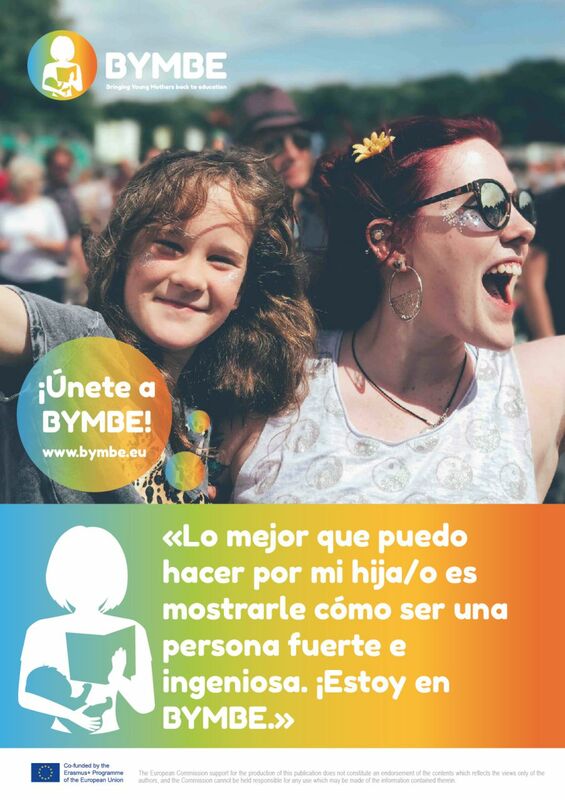 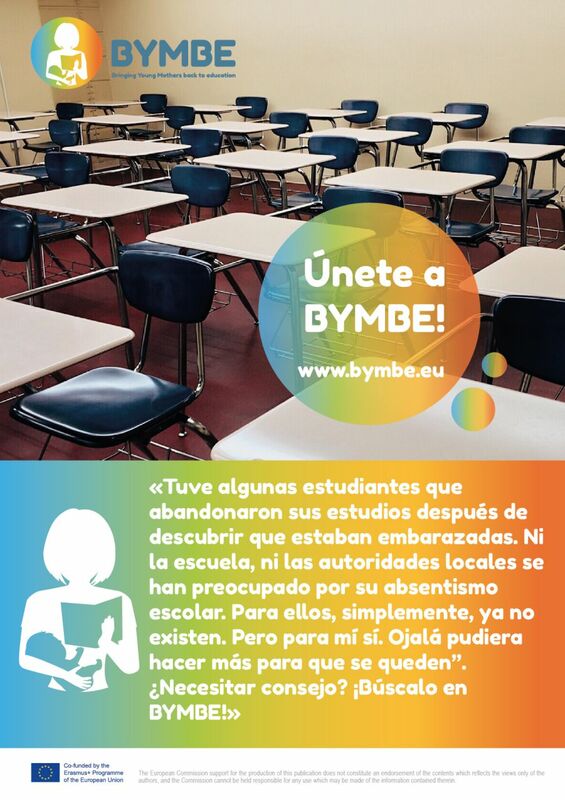 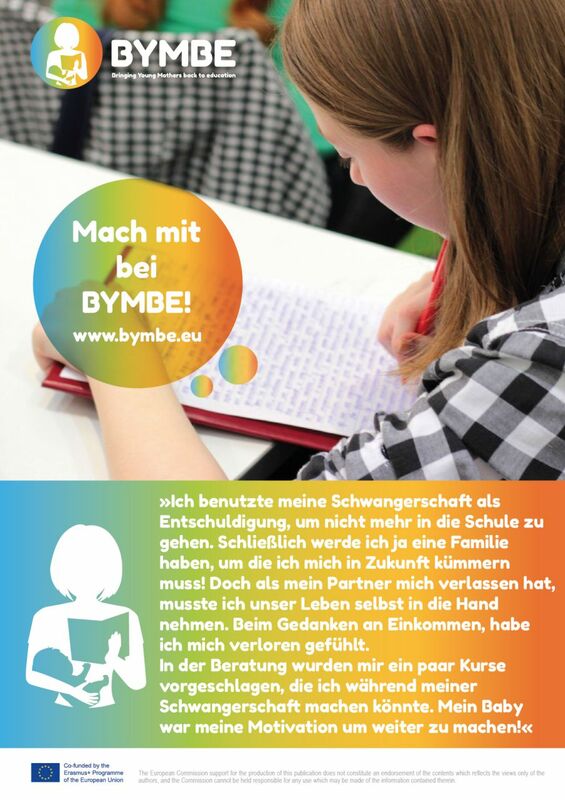 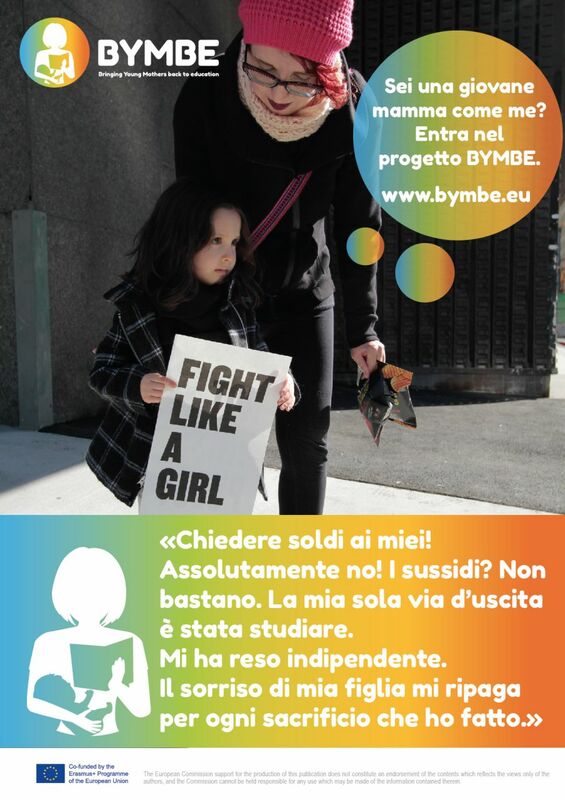 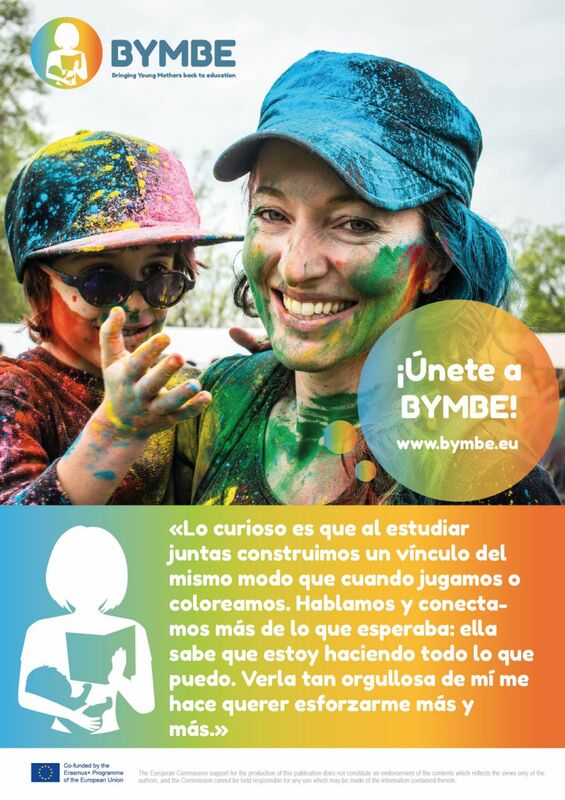 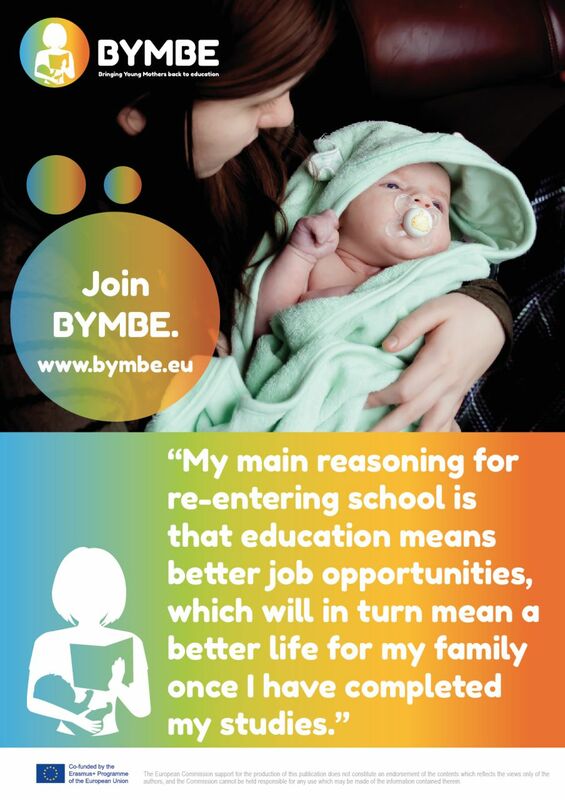 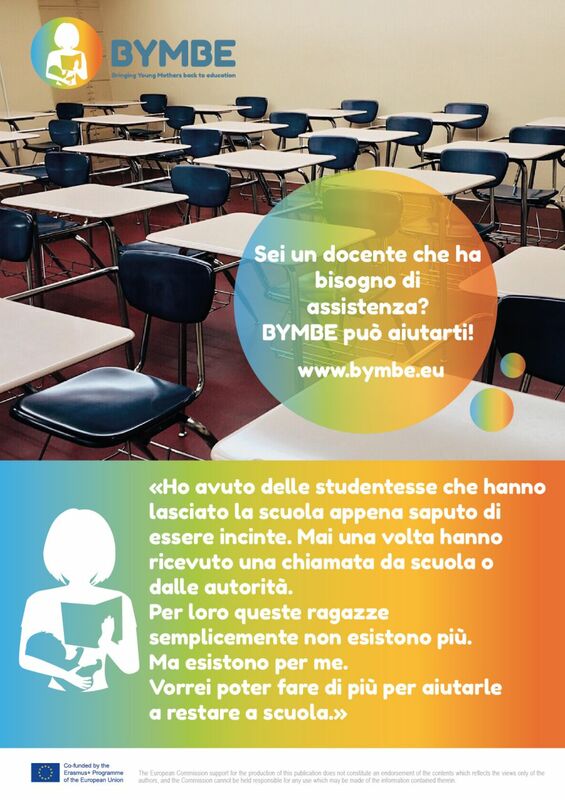 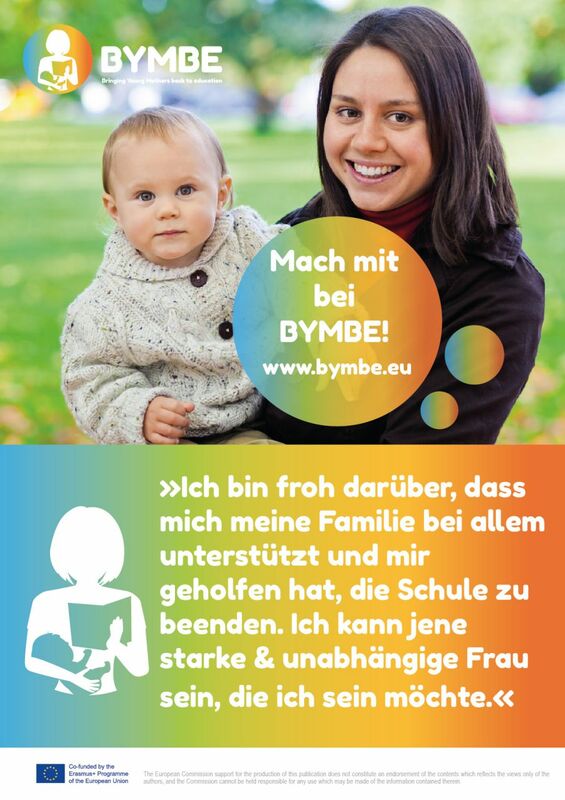 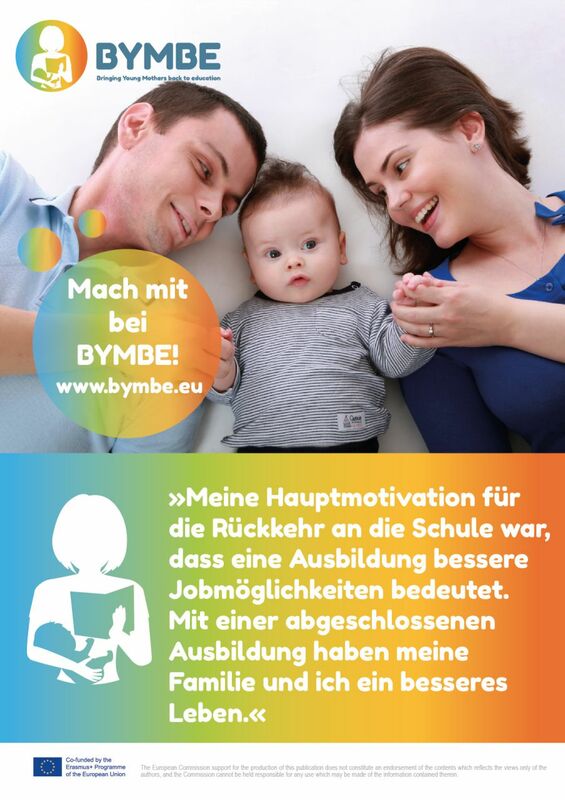 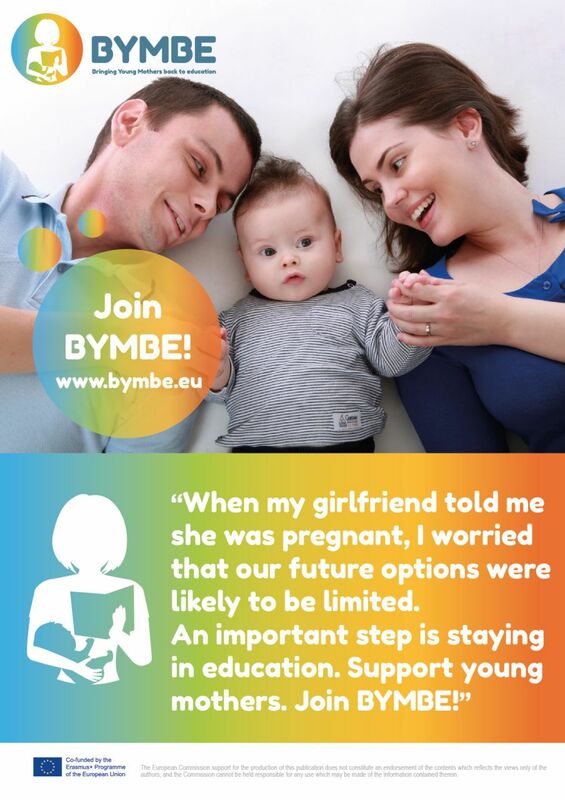 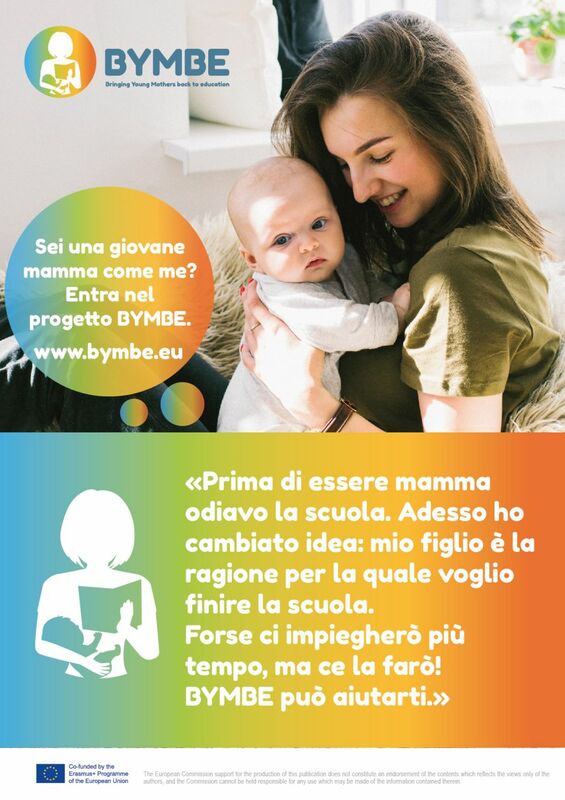 The project Bringing Young Mothers Back to Education – BYMBE aims to produce training tools in support of the work of social workers, teachers and trainers for the purpose of sustaining young mothers between 15 and 25 years old in re-entering education or training for a better access to the labour world. 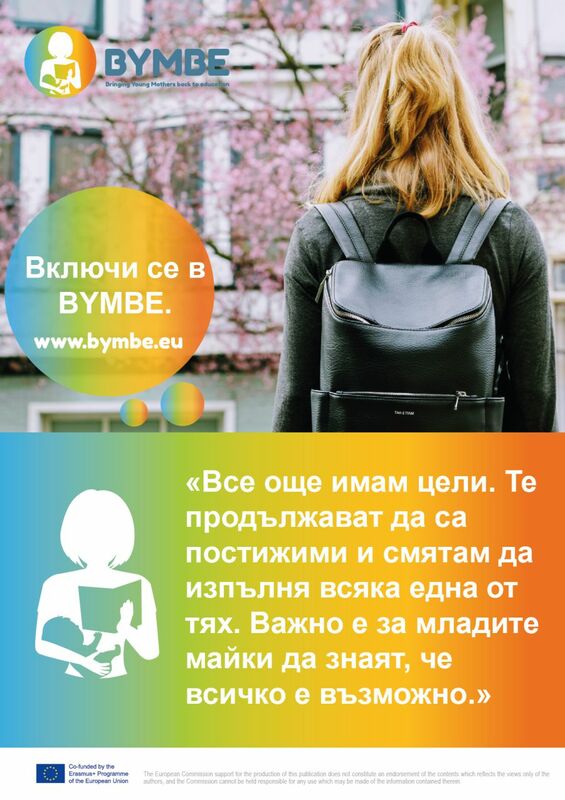 To raise the awareness of stakeholders and general public about the importance of professional education for girls in order to assure their own economic safety. National information on education systems and support services which are of special interest for educational integration of young mothers. A methodology about how to elaborate and implement a motivational campaign addressed to young mothers and their influencers (social workers, teachers, trainers, families, friends) to prevent school dropping-out and to promote return to education. 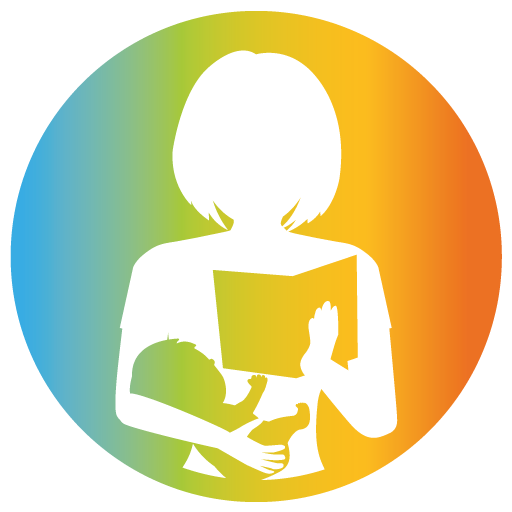 Innovative strategies and intervention methods for motivating young mothers to re-enter education, including guidelines for working with parents and peers and emergency management. An innovative approach professional based on professional and personal guidance and counselling to help young NEET mothers to find their own way to education and profession. 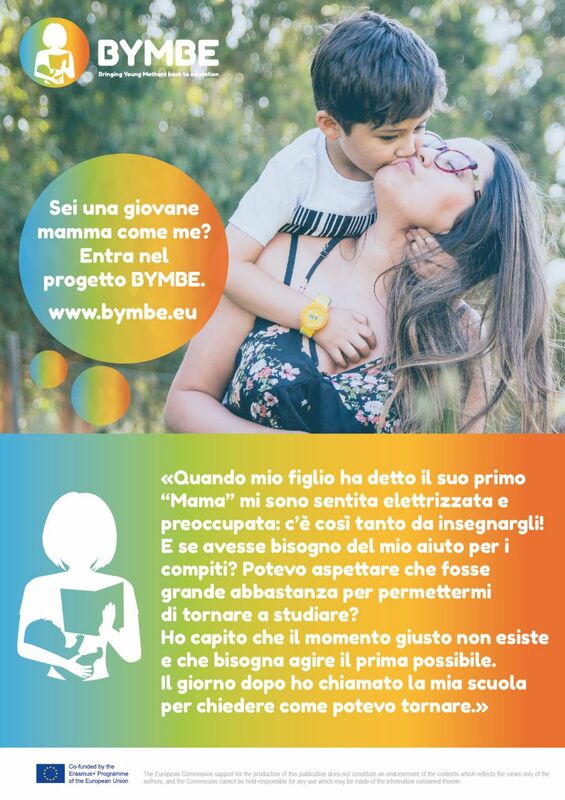 Training contents aimed to help young mothers to understand and manage their feelings and behaviors and interact successfully with people around them as well as within social context in order to ease their re-entering in education and improve their chances to be able to keep on the professional training till the end. 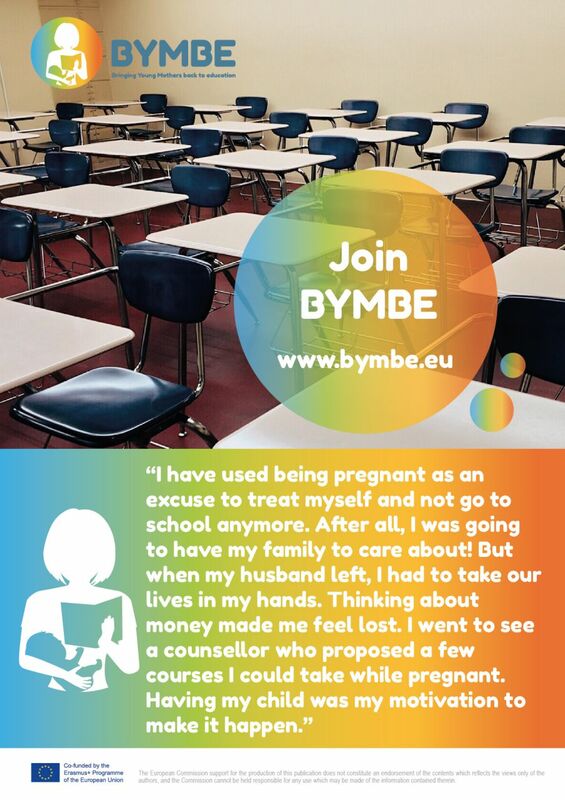 Approaches to support young mothers for the time they will have entered education in order to overcome crisis, doubts or other problems related to reentering education.